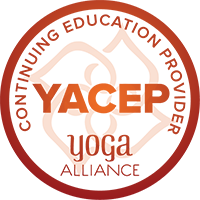 Reserve your spot on the mat via Mindbody Website or with the downloadable App that works on your mobile phone, or contact us to assist you in booking. Nithya Priyan School of Yoga is a center for the learning of Yoga Asana for students of all levels of proficiency. 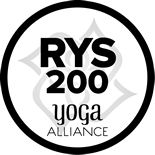 As a Registered Yoga School under the Yoga Alliance and a Continuing Education Provider, we set ourselves apart from the rest in our commitment to a structured and integrative approach to our classes, workshops and retreats. Each week our team of teachers agree on a common Theme, an area of study that informs the direction taken by the classes offered by the school. We explore this Theme intensively for a week at a time to develop a repetition that increases Muscle Memory and deepen Learning. From the weekly Theme, poses are chosen that become the focal points for the classes conducted. Our classes are thus sequenced around building the understanding, strength and flexibility required for the safe and deep exploration of a yoga pose that changes week by week. Then take your skills to the following week's Flow class where you'll get the opportunity to apply what you've learnt in a faster paced setting. Each week's practice forms part of a bigger whole: a 27 week curriculum or syllabus geared towards the larger objective of achieving a systematic and effective practice. Your 27 weeks is a roadmap to a comprehensive journey that you can revisit over and over as you progress from strength to strength. Mastery is a combination of Physical Proficiency and Inner Freedom achieved as a result of a Consistent and Mindful practice. Our efforts of establishing a methodical class syllabus is done with the intention of giving you the best possible platform for you to find your Consistency. Asana by asana, class by class, finding Joy in the Body and Peace in the Heart and growing together as a mutually supportive community of Yogis. Handpicked for their dedication to coming together as a collective whole, greater than the sum of its parts, under a Common Teaching Methodology. The School System is powered by their commitment to collaboration and knowledge sharing, moving the weekly Syllabus forward with their Dynamism. The School Curriculum expresses itself as a weekly Theme or Focus for your practice. This theme informs our choice of peak poses worked on in the Basic, Essential and Intermediate classes. Though part of a bigger Syllabus, classes are designed to be self contained and you will still benefit from the practice by doing drop-ins occasionally. However, to get the most benefits from our curated curriculum you are encouraged to attend at least weekly for continuity of practice. When we gain proficiency in these poses, we practice them in the following week’s Flow class as part of a dynamic sequence. Core and Stretch classes also relate to the Theme by strengthening and activating relevant muscles and releasing and stretching tight and sore spots to restore and renew. Slower paced practice with a foundational complexity of poses and movements executed. Expect a warming and mindful practice of movement and stillness, strengthening and stretching. Because of the slower pace, you can also expect more detailed alignment cues, adjustments and guidance. This makes the class ideal as a starting point for Beginners. This is the Essential class offered by the School of Yoga, sequenced around a School-wide theme that changes weekly affording the participant a structured and consistent platform for achieving mastery of their practice, one pose at a time. A peak pose is chosen every week to be worked on, with each teacher in the School contributing his or her particular sequence. A 75 minute duration class that is a level up in intensity and complexity from the Essential class. The peak pose chosen will be an Intermediate cousin of what is practiced in the Essential and Basic classes. It will have more requirements in terms of Strength, Flexibility and Skills. Come and be challenged! A fast paced practice focusing on beautiful and complex transitions from pose to pose, within the framework of strong and steady breathing. Poses and transitions vary in complexity from basic to advanced, and options are given during the practice to suit the proficiency and fitness level of the participant. Expect a practice that incorporates strengthening exercises, functional movements and elements from Calisthenics, Pilates and Yoga Asanas in this physically intense practice focused on Strength, Physical Conditioning and Muscular Activation. 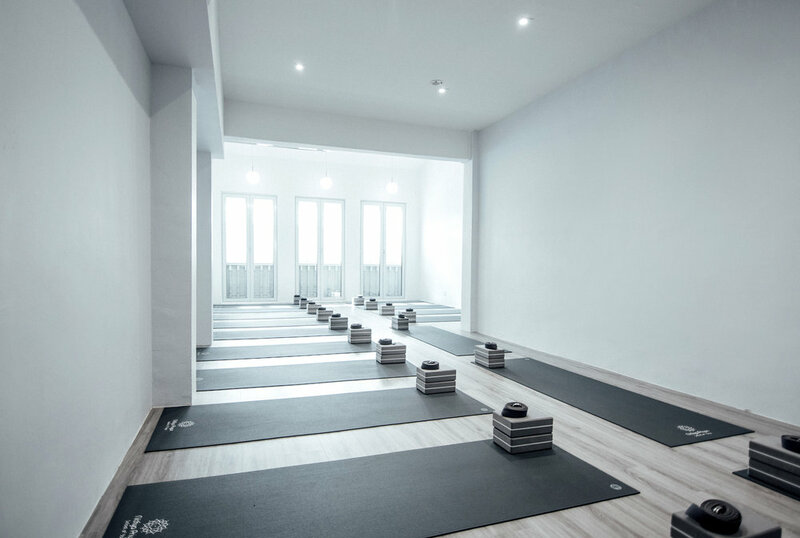 A relaxation and stretch based restorative practice of gentle floor based holding of posture, which might include meditation, breathing work and myofascial release, designed to open the body, release tensions and stiffness and increase range of motion. Yogic practices that calm the mind and improve concentration. When the mind is prepared we begin the second part of the class with the meditation proper.. Meditation classes are free to attend if you have a class package with us. 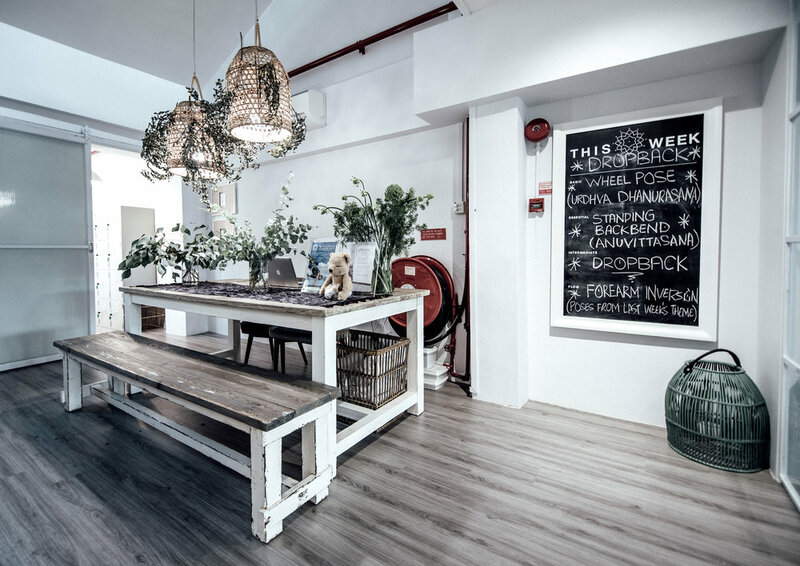 Located a stone’s throw from Chinatown MRT and situated in the heart of South Bridge Road, our studio is a haven of calm for a distraction free practice. Rooms cooled to a comfortable 24 Degrees Celsius and humidity controlled. Leave us a note and we will get back to you soon as we can. Note: For assistance with booking classes and spots in workshops and events, do include your cellphone number in the appropriate field below to facilitate registration process. Signing up to our mailing list keeps you informed of upcoming events and promotions via email.